I recently noticed that in version 2016, the option to export records for update (available in version 2015 as seen below) has vanished from the Export To Excel dialog. When checked, this option allows you to update the exported data and later on use the Import Wizard tool to update existing records. Consulting Faridun Kadir, a fellow MVP, I learned that exporting MSCRM records to a static worksheet exports records GUID (record unique identifier) by default as a hidden column. This GUID is later used by the Import Wizard mechanism to determine if the imported record is to be created or updated. 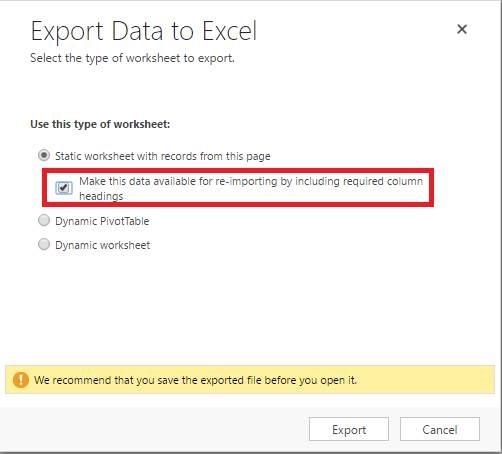 For this reason, the ‘Make this data available for re-importing’ checkbox was removed from the Export to Excel dialog. As you can see above, the hidden columns title includes a warning (‘DO Not Modify’). Indeed, changing these columns data will end with an import failure. So although exposing these columns by itself will not cause any harm, you better leave it hidden to prevent an accidental change. 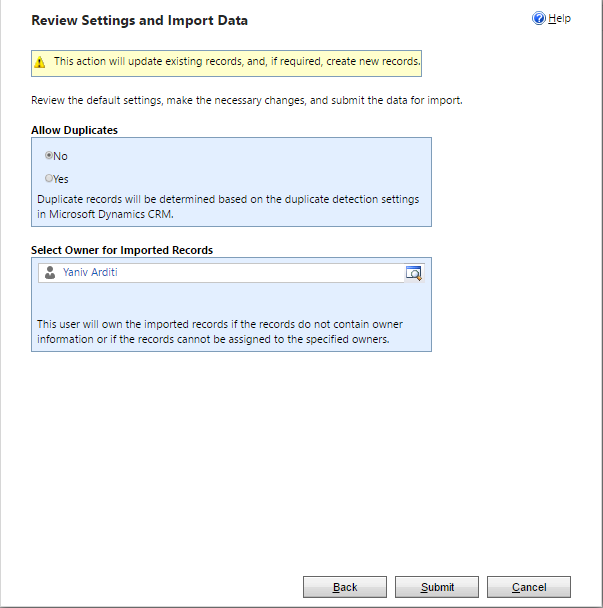 All you have to do in order to update existing records is to update required value in the Excel file and import via the Import Wizard. You can also add new records which will be created in the same import job.